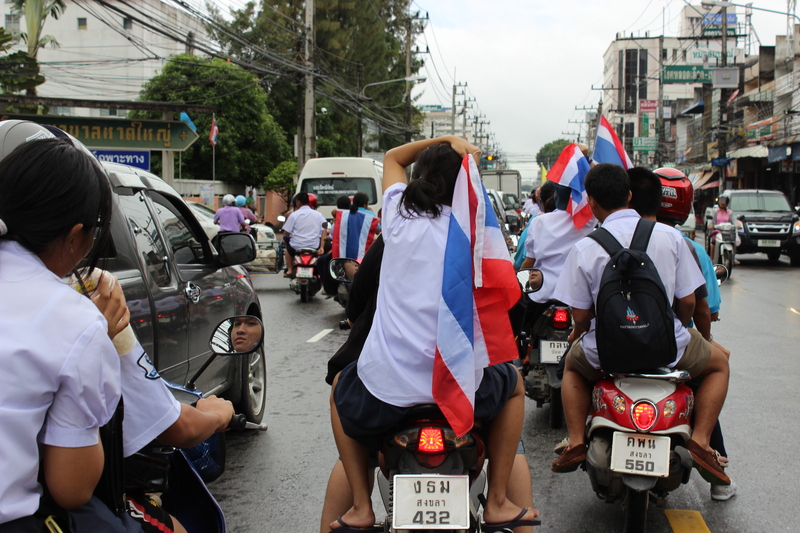 Posted on November 28, 2013 October 11, 2014 by cornishkyliePosted in Hat Yai, Photography, TravelTagged hat yai, news, pictures, protests, thai politics, Thailand, thailand news, thailand protests, travel. Thanks for keeping us updated on these protests in Thailand!!!! I lived in Hat Yai for a year or so while I was teaching at Thidanukhro. I love finding updates on what is happening there – thank you for posting!